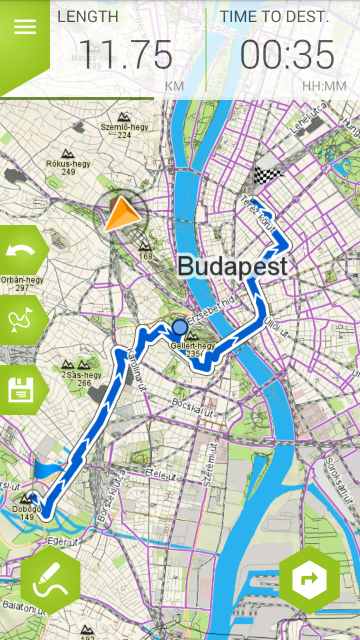 This screen takes you to the map and presents you with features to plan your route. You can select your starting point by tapping the map once. Keep tapping the screen to add waypoints. Your last tap will be interpreted as the destination point. The points will then be connected and the route will be shown in blue. 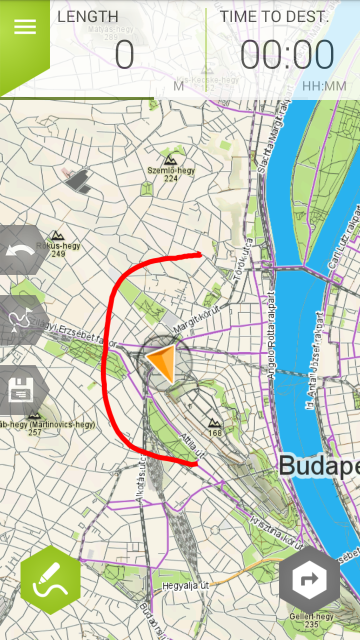 You can modify the starting point by tapping the Undo button and selecting a different location. Alternate route. 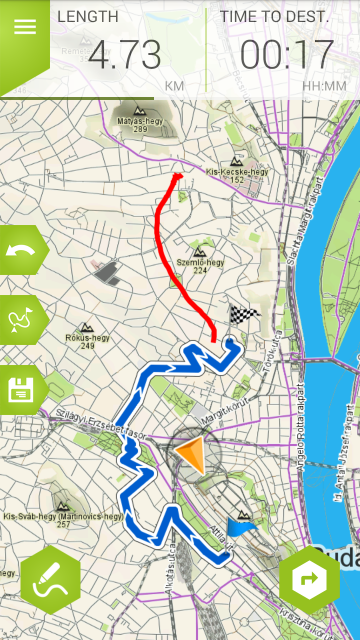 You can ask the application to plan a different route between the starting and finishing point. Save. This button lets you save a planned route for later use. Draw. You want to select your route but don’t want to specify points along the way? Tap this button and draw away. 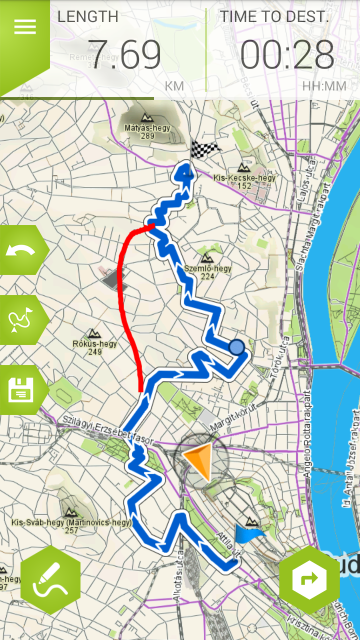 The application will calculate the route based on the line you drew. You can Cancel the process while the app is planning. If you are not satisfied with the outcome, redraw any section and the app will recalculate it. You can either draw a new route, or modify an existing one by redrawing a certain section. Adding a new section is also possible. Go. When you are satisfied with the planned route, tap this button and let the Navigation function take you to your destination.